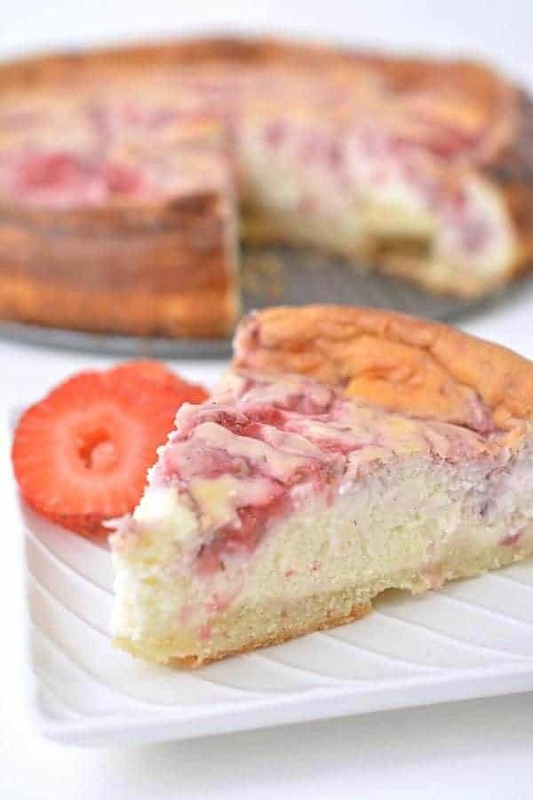 This keto strawberry swirl cheesecake is seriously THE BEST strawberry cheesecake! You can’t even tell it’s keto so it’s perfect for parties. 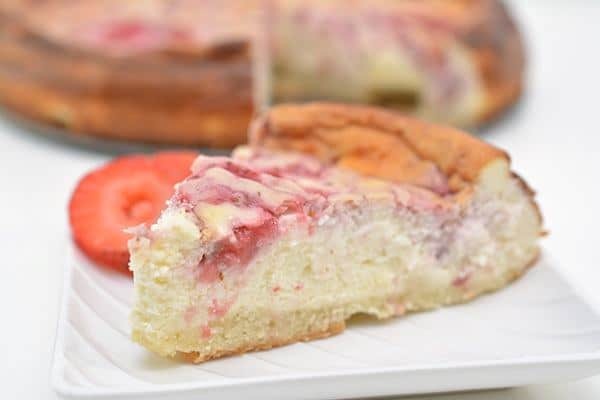 This keto cheesecake is sweet, moist, and full of strawberry flavor. 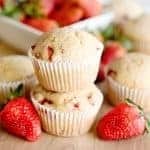 If you’re looking for a yummy keto strawberry dessert, you will LOVE this homemade strawberry cheesecake recipe. 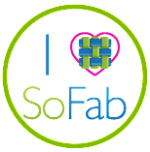 Just follow the easy step by step directions to make your very own. One of the things I really missed when I switched to keto was a delicious homemade strawberry cheesecake recipe. 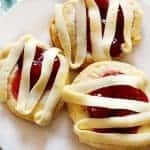 It’s one of my favorite desserts! 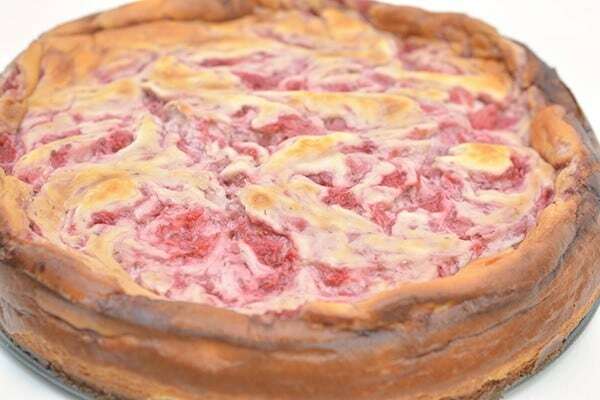 Thankfully, I was able to come up with THE BEST strawberry cheesecake recipe while keeping it keto and delicious! 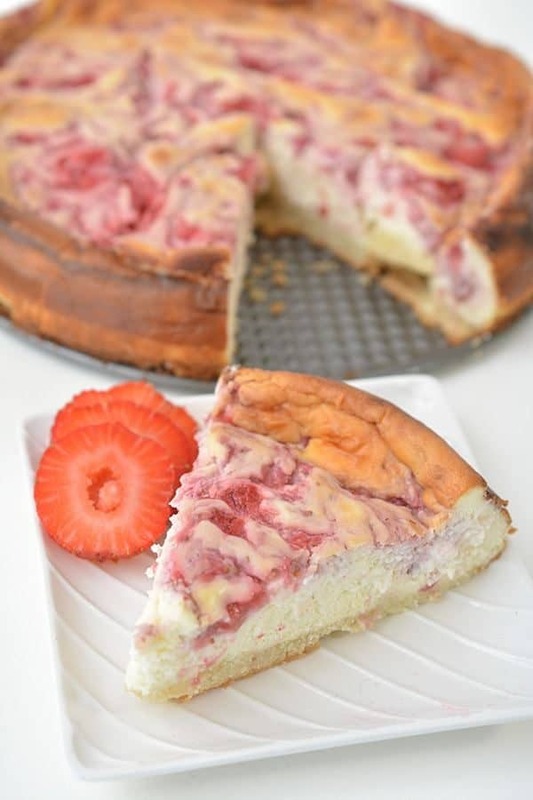 Seriously – if you want a sweet keto strawberry dessert – you have to try this keto strawberry swirl cheesecake! There’s not much better than a sweet keto cheesecake that you can’t even tell is keto. 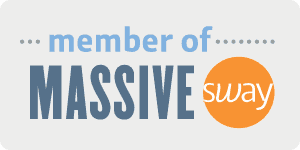 It’s perfect for parties, potlucks, and other special occasions. 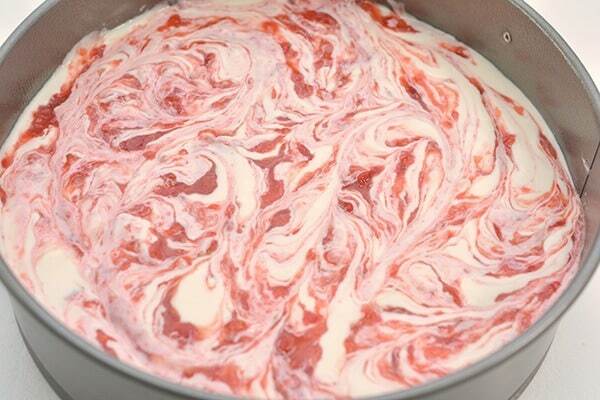 I know you are dying to get to the keto strawberry swirl cheesecake…. I mean, how can you not? It’s truly mouthwatering! 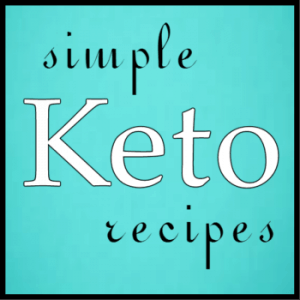 Just scroll down below for the full keto cheesecake recipe. Preheat the oven to 350 degrees and prepare a cake pan with cooking spray. In a mixing bowl, mix together the flour and 4 tablespoons of erythritol and then pour in the melted butter and stir lightly. Add the egg and almond extract and then mix until well combined. 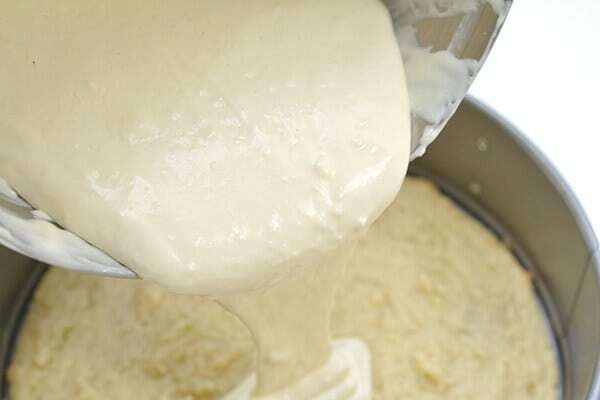 Pour the mixture into the bottom of the cake pan and spread it out evenly in order form a crust. Pre-bake for 10-15 minutes, until brown along the edges. 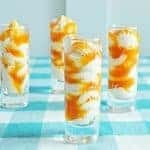 Mix together the cream cheese and 6 tablespoons of erythritol in a blender until creamy. Add eggs and mix until smooth. 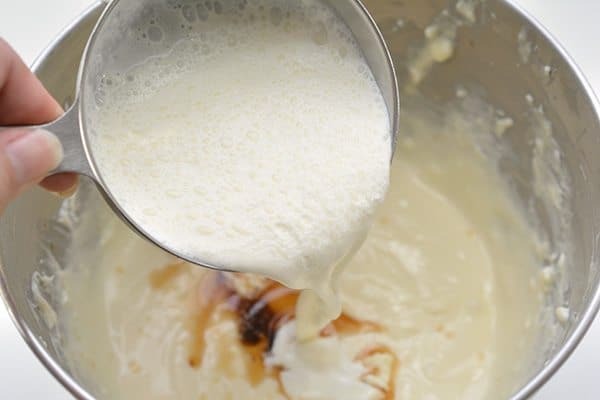 Mix in the vanilla extract, almond extract, and heavy whipping cream until mixture is creamy. After the crust has baked and cooled, pour the filling into the cake pan on top of the crust and smooth it out by gently tapping on a hard flat surface. 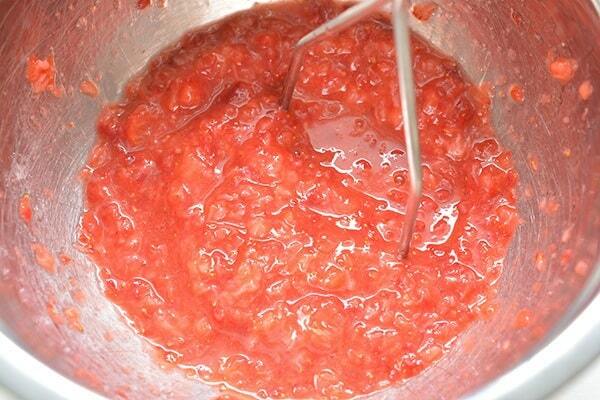 Break up the sliced strawberries using a masher or blender and mix 1 tablespoon of erythritol into the mashed berries. Place the berries in rows on top of the cheesecake batter as shown below. 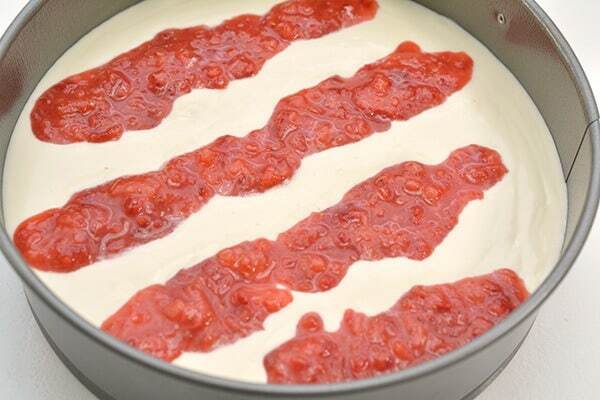 Next, use a knife to swirl the strawberry topping along the surface of the cheesecake. Bake the cheesecake for 30-40 minutes until the center has cooked completely and a fork comes out clean from the center. Let the cheesecake cool on a rack for at least 30 minutes before moving into into the fridge for a minimum of 4 hours, preferably overnight. 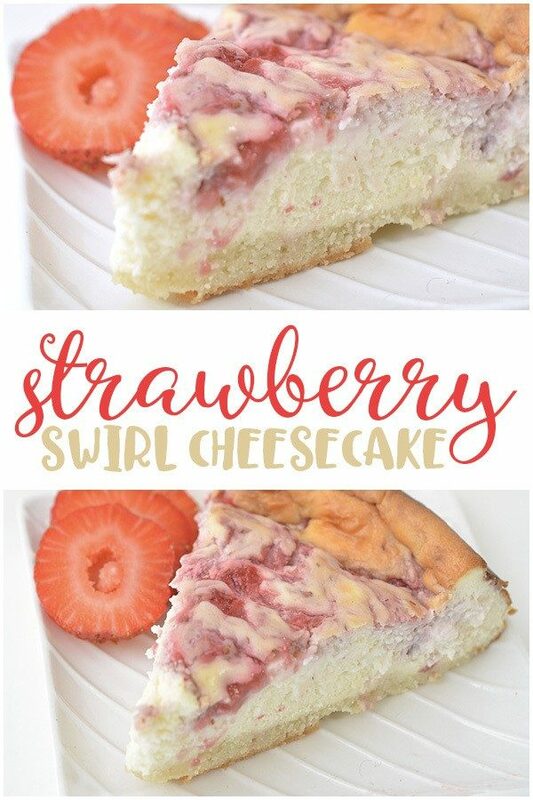 This keto strawberry swirl cheesecake is seriously THE BEST strawberry cheesecake! It's such a sweet and moist keto cheesecake. If you're looking for a yummy keto strawberry dessert, you will LOVE this homemade strawberry cheesecake recipe. 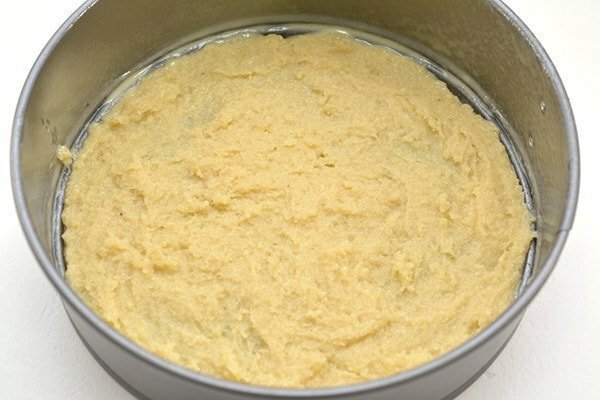 Preheat the oven to 350 degrees and prepare a cake pan with cooking spray. 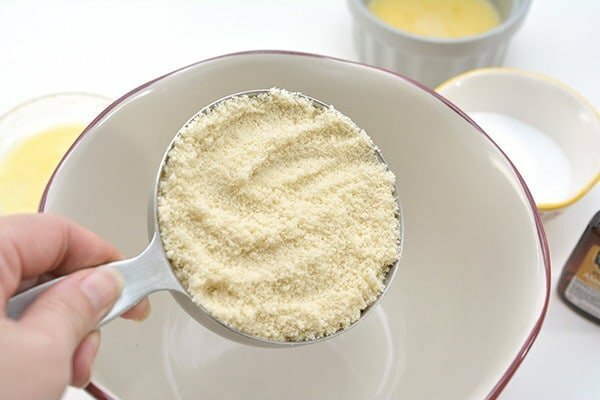 In a mixing bowl, mix together the flour and 4 tablespoons of erythritol and then pour in the melted butter and stir lightly. Add the egg and almond extract and then mix until well combined. 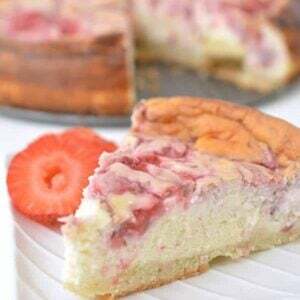 Place the berries in tows on top of the cheesecake batter and then use a knife to swirl the strawberry topping along the surface of the cheesecake. 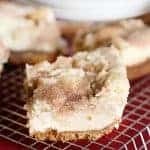 Bake the cheesecake for 30-40 minutes until the center has cooked completely and a fork comes out clean from the center.